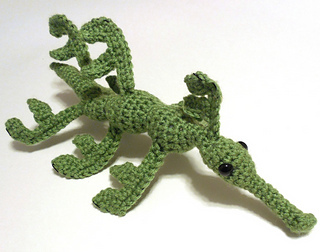 Leafy sea dragon have always fascinated me and now I share that love with you. 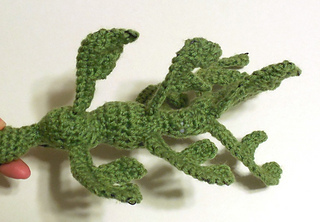 You can now make your own leafy sea horses to have and play with. Be aware that this pattern uses wire to hold the leaves up, so if you are giving it as a toy, it is not appropriate for small children or children who are rough with toys.